Welcome to Mulligan Restoration, Inc.
Mulligan Restoration is a full service general contractor with an expertise in historic restoration and preservation. Whether you're looking to restore a home to its historic condition or just want to update your home's outdated style, Mulligan Restoration can complete the project efficiently and beautifully, with an unrivaled attention to detail. We are a company dedicated to overall customer satisfaction, which means we treat you and your property with the respect and care you both deserve. 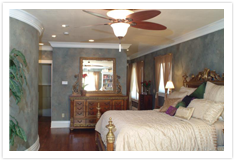 Click on our services page to see a complete list of our Remodeling & Restoration Services. Contact Mulligan Restoration directly by calling 815-964-4210. We look forward to helping you achieve the vision you have in mind. Contact us to send us your questions or concerns, and we will do our best to provide prompt and appropriate answers.